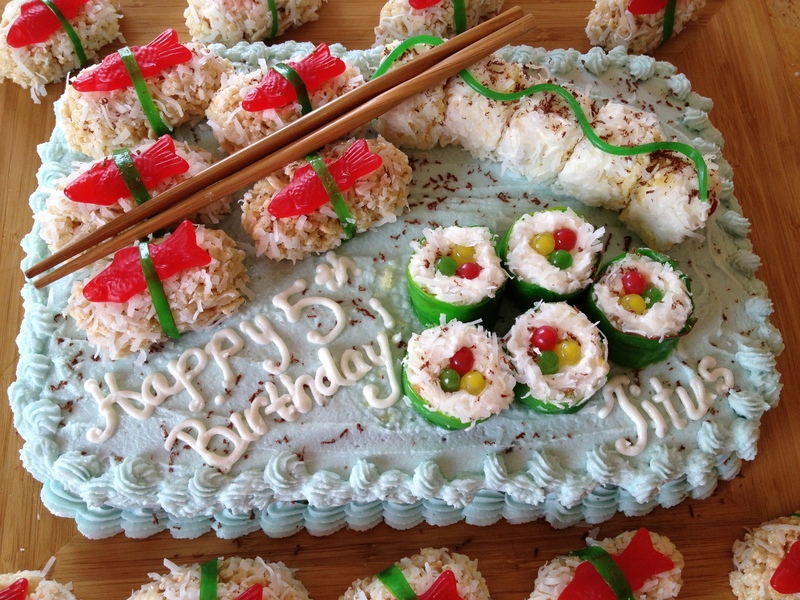 Our youngest son turned 5 in August and he requested a "sushi cake." 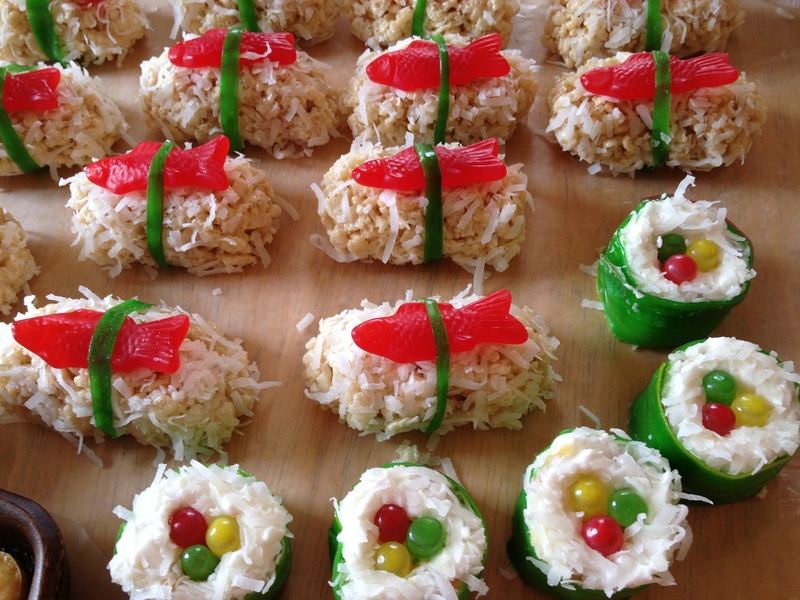 The child LOVES sushi and frequently requests it for special events. I share his love for sushi and was only too happy to oblige! 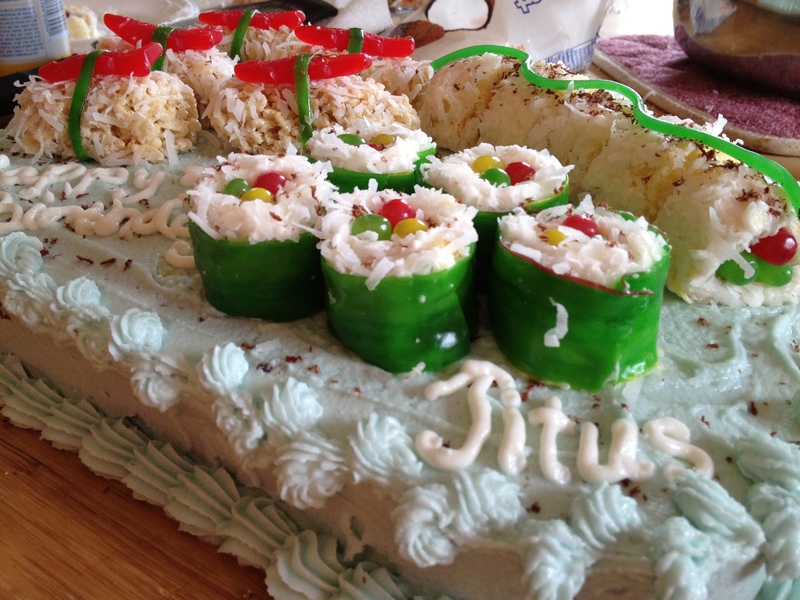 I searched for ideas and then created my own version of a sushi cake using cake, candy, fruit roll-ups, rice krispies, marshmallows, chocolate, Swedish fish, and coconut. It was so fun and turned out better than I could have imagined! The only inedible part was the chopsticks. The base cake was mint chocolate as requested by the birthday boy and the sushi rolls were vanilla cake. Hope you enjoy! I hate sushi, but this cake is absolutely adorable!! Very creative!! Thanks! I had so much fun creating it!